The production of pharmaceutical products places high requirements on climate control during multiple stages. Munters air treatment systems and extensive application know-how has set worldwide standards for precision humidity control and hygienic quality air conditions. Using innovative energy efficient technologies, Munters’ expert engineers create a perfect climate for research and development (R&D), pilot plant, full manufacture, and storage of medical products. Munters has developed cutting-edge climate solutions for manufacturing active ingredients, granules, tablet compression, gelcap, and insulin manufacture. Based on the desiccant dehumidification principle invented and patented by Carl Munters, the company’s desiccant dehumidifiers function without any refrigerants or compressors. 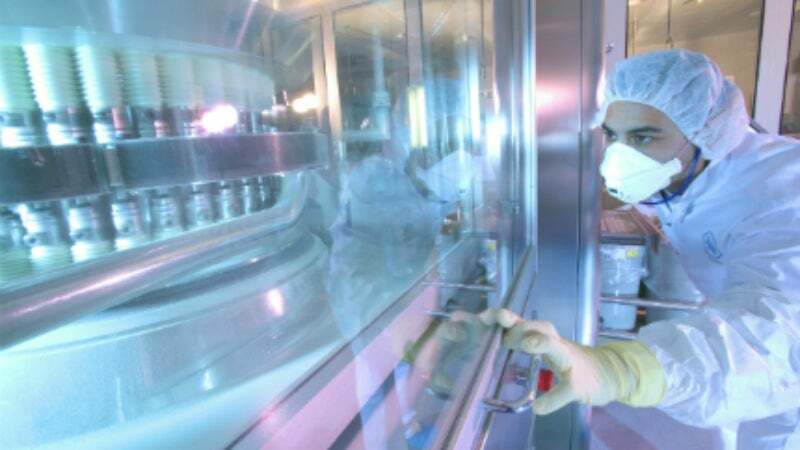 Sensitive pharmaceutical products such as powders, tablets, capsules, and labsticks can lose quality or have reduced shelf-life when exposed to high humidity. Products can stick, develop mould, become friable, and deteriorate. Pipes and machinery may clog, impeding or interrupting production, or the storage and powder transport can be affected. By controlling the production environment with Munters air treatment, these issues are avoided and the production climate is stable and fully controlled. A high product quality is maintained and production output is increased, with shorter drying times, higher throughput, and unplanned stoppages reduced, all saving valuable time and money. Outdoor conditions with a low absolute humidity provides an ideal production climate for most processes within the pharmaceutical industry. In summer, many processes are affected by increased humidity levels, creating multiple problems associated with condensation. By controlling temperature and humidity in production facilities or processes, Munters create stable conditions all year and operations can run at maximum capacity irrespective of outdoor weather fluctuations. By controlling relative humidity, condensation is prevented and mould is greatly reduced. This helps satisfy strict hygienic regulations with a constant, reliable, and predictable climate. Munters’ rotors (desiccant wheels) have been tested independently and proven by the Swedish Institute for Food and Biotechnology to have both bactericidal and fungicidal properties, making them highly suitable for demanding and delicate processes within pharmaceutical production. For an even higher efficiency, Munters’ rotors can be provided with an energy recovering purge sector, which is available both as a pre-installed feature or as a retrofit. Recovering heat from the regeneration process through multiple methods the energy needed for regeneration is reduced by up to 30%. Munters has signed a definitive agreement to acquire HB Group, an international company that specialises in customised hygienic climate control systems for the food and dairy industries. The KLOCKE Group manufactures and packages pharmaceutical products, food supplements and cosmetic products. The MX² Plus Climate system allows the user full climate control for sensitive processes and preservation. Production of hormone medication involves packing in foil blister packs. The process includes cooling and requires very cold machine surfaces.